Watch the dolphins play and the sunrise over the Atlantic. Then, relax while watching the sunset over the Currituck Sound all from the comfort of "Beach Break." 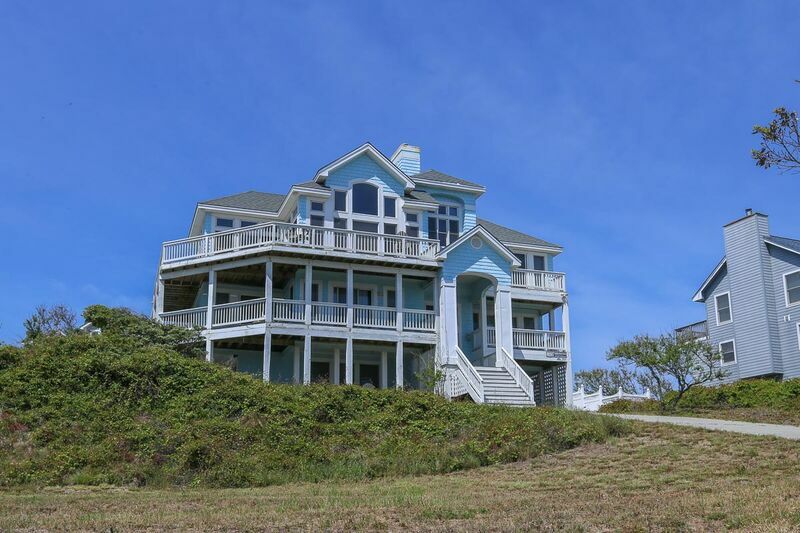 Located high on the hill for which Sandhills was named, this fabulous home boasts incredible ocean views. The private pool is only a few of its many amenities. Recreation room with Queen sleep sofa, foosball, bumper pool table, wet bar and separate stereo/CD system, full bath opens into the hall or pool area. 4 bedrooms (master bedroom with King, private deck, stereo system, TV; 1 with Queen; 1 with Twins; 1 with Queen, TV/VCR player). Master bedroom (with King with private deck, full stereo system, TV). Spacious great room with stereo/CD player, well-equipped kitchen, dining area.